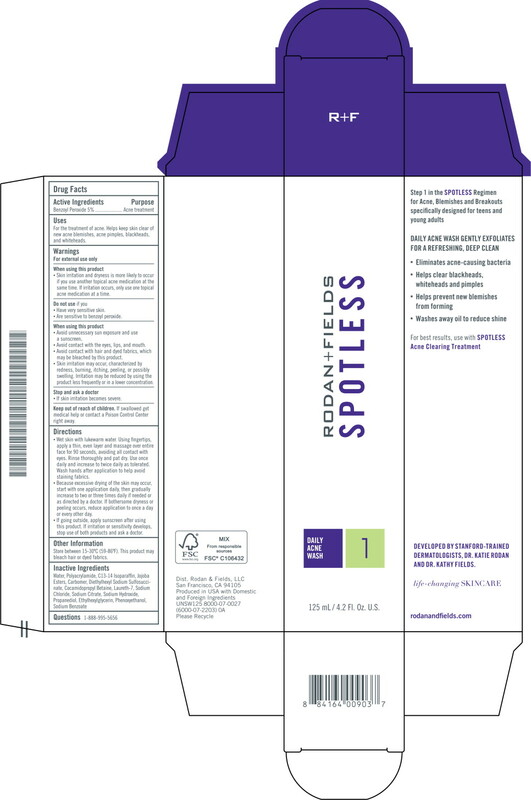 Proprietary Name: Spotless Daily Acne Wash What is the Proprietary Name? Non-Proprietary Name: Benzoyl Peroxide What is the Non-Proprietary Name? 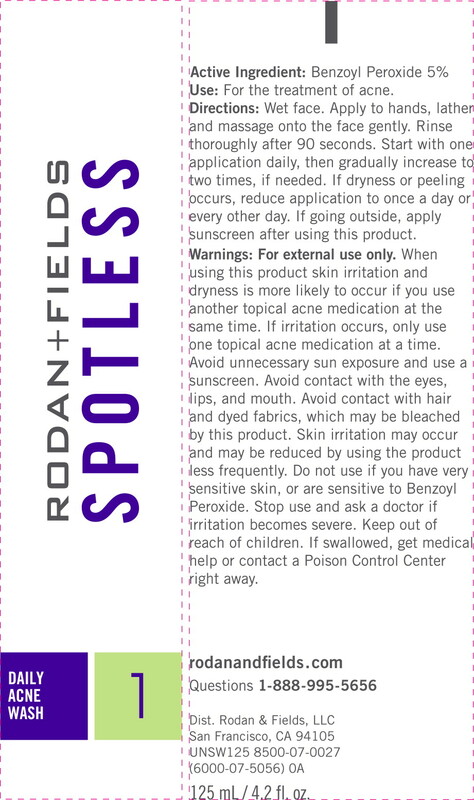 Spotless Daily Acne Wash with NDC 14222-1610 is a a human over the counter drug product labeled by Rodan & Fields. The generic name of Spotless Daily Acne Wash is benzoyl peroxide. The product's dosage form is cream and is administered via topical form. For the treatment of acne. Helps keep skin clear of new acne blemishes, acne pimples, blackheads, and whiteheads. Same time. If irritation occurs, only use one topical acne medication at a time. When using this productAvoid unnecessary sun exposure and use a sunscreen. Avoid contact with the eyes, lips, and mouth. Stop and ask a doctorIf skin irritation becomes severe. Store between 15-30°C (59-86°F). This product may bleach hair or dyed fabrics.